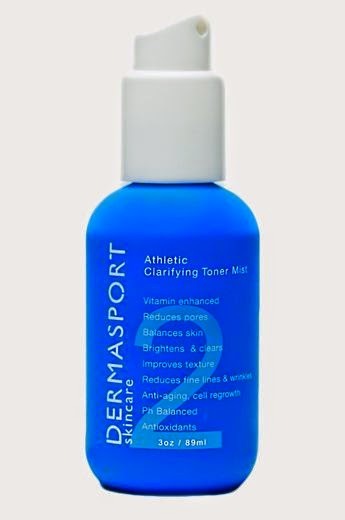 For my 8th day of giveaways, I bring you a product I was introduced to a few months ago - DERMASPORT skincare for athletes. I will be the first to say, when I first heard about this product, I was a bit skeptical - what about it would make it specific for those who are active? Then the more I thought about it - while training, you are exposed to sun, sweat, dirt, debris, chlorine, salt, wind, heat, and cold. When your skin is exposed to harsh elements, it can become reactive with increased irritation, redness, dryness or oiliness, congestion, blotchiness, discoloration and uneven skin tone. 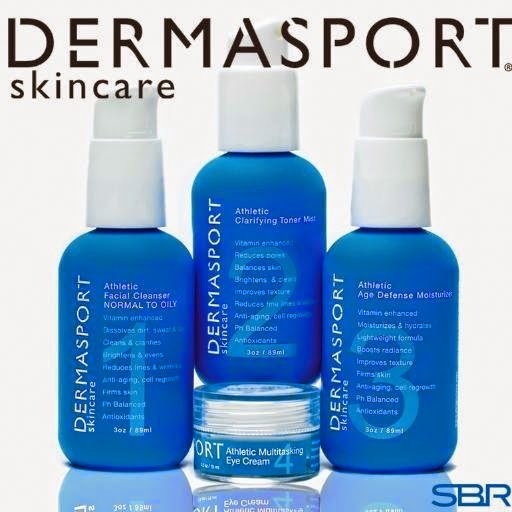 DERMASPORTs 4-step daily skincare regimen was designed to treat and protect the delicate facial skin to protect it from environmental damage. A pH-balanced formula that gently lifts away impurities such as dirt, sweat, oil, and congestion to clarify and rejuvenate skin exposed to environmental stress. Infused with mushroom extract that mimics the skin’s natural exfoliation process to increase cell turnover, brighten, and even out skin tone for smoother, younger looking skin. A refreshing toner to restore pH balance to skin that has been affected by sun, sweat, debris and other environmental elements. Natural Multi-Fruit Acid Complex accelerates cell turnover to refine texture and even skin tone. Blended with willow bark to purify pores and remove dead skin cells, revealing a bright, radiant complexion. A lightweight hydrating formula formulated for all skin types. Powerful antioxidants including vitamin A, C, E, green tea combined with super fruits acai, goji berry and pomegranate to form a defense barrier against free radical damage that can lead to premature aging. Anti-aging complex with sand rice peptides supports elasticity and firmness. 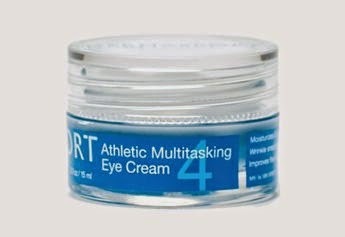 A Multi-Tasking Eye Cream that targets dark circles and puffiness to re-energize and brighten the delicate eye area. This innovative blend of peptides and an anti-aging complex diminish signs of aging, fine lines and dark circles resulting in a more youthful complexion. Shea butter and soluble collagen provide deep hydration and comfort while vitamins A & E provide antioxidant protection to fight against future damage. 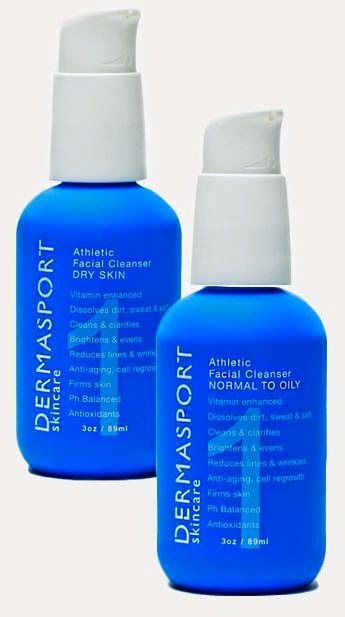 I am giving away one 4 pack of DERMASPORT skincare (valued at $80). Let me know in a comment below what environmental hazards you face. Mine is without a doubt the FL summer. Between the heat, humidity and the UV, my skin tends to get leathery. You should see a Rafflecopter Widget below this - after you comment, go through the widget to gain your first entry and unlock more chances to win. If it doesn't appear right away, please give it a few minutes and refresh. I have all the same issues, running in FL is hard not to mention I have oily skin so the sweat going in my pores does not help my complexion. Running in the Florida sun year round.